1. Guard your family and your home. Set up smoke alarms in every story and bedroom of the home including the outside of all sleeping areas. Also, using the test button, test the smoke alarms on a monthly basis. Orient family members on what the fire alarm sounds like and ensure they understand what it indicates and the best way to get out of the house. 2. To be safe, prepare in advance by making a fire escape plan and involve all the members in your family. With everyone in the home, including small children and the elderly, take note of all likely exits including windows by walking through the house. Pencil in a simple floor plan of the house and point out two possible exits from every room. 3. In preparation for fire drills and fire emergencies, select a place to meet other family members after leaving the exit points such as the mailbox across the street or other similar landmarks. Designate two reliable family members to assist the elderly, small children, infants, and anyone with mobility problems. It’s possible that these designated people may need to help other family members, so it’s a must to teach older children to go through exit points without assistance. Train every family member to contact 911 from a mobile phone or from a neighbor’s house nearby. 4. 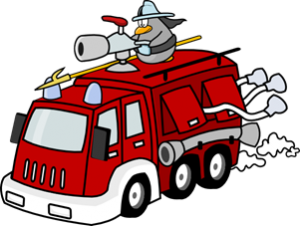 Carry out fire drills at least two times a year and consider doing one at night while your family is asleep. Take note from mistakes and learn from them. 5. In case a fire emergency occurs, select the route where there is the least amount of heat and smoke. 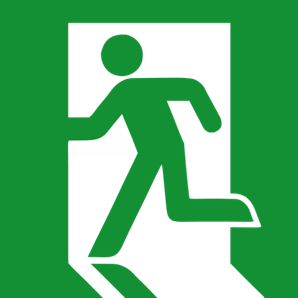 If the first exit point is blocked by fire or smoke, make your way to the next. If you pass through smoke to reach an exit, crawl on the floor rather than walking, as the cleanest air is near the floor. If you are trapped in a room, seal the door to block smoke from coming in. Never stop to call the fire department while inside the house. If you see smoke coming from under or around a door, don’t open it. Likewise, close doors as you pass through them to block smoke. Do not take any belongings with you while escaping. Once you’re out of the house, go to your predetermined meeting place and call the fire department. Stay at the meeting place and wait for them to arrive. Prepare fire escape ladders in each bedroom and ensure that each person in the home knows how to use them. Through your home owners’ association, make sure that the fire detection and the automatic fire suppression systems are in tip top shape at all times. Be sure to check that the fire exit stair doors are equipped with a panic device, are self-closing and snap shut.